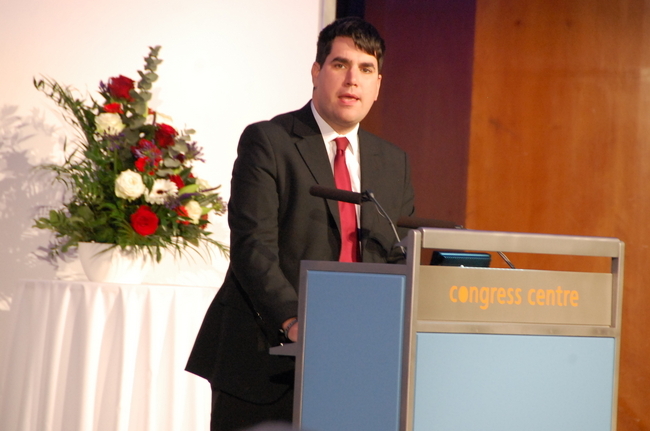 Speech by Richard Burgon MP at the London Fidel Castro Memorial, 5 December 2016. The words of Nelson Mandela when he shared a platform with Fidel Castro on 26 July 1991 in Mantanzas, Cuba. Mandela got his wish. The Cuban Revolution is still alive. And Fidel Castro had a long, long life. Some may not like the fact that I’m here. Well, I’m proud to be here. I happen to think that Mandela’s analysis of Cuba and of Fidel Castro was correct and I am proud to be here. Proud to be here to reflect upon the life, contribution and living legacy of Fidel Alejandro Castro Ruz. The young Cuban from Biran, growing up inspired by Jose Marti and appalled by social inequality. The young boy from Biran who ended up achieving so much. And his achievements – domestic and international – live on after him. Today and always I will think of Moncada, the Sierra Maestra, Playa Giron, The Latin American School of Medicine, the battle of Cuito Cuanavale, Operation Miracle, the remarkable resistance of Fidel Castro and the Cuban people during 'the Special Period' following the collapse of the Soviet Union and the doctors and nurses sent to the poorest and most remote parts of our globe. In recent days – as ever - so much has been said that is an oversimplification. So much has been said that is an insult to the Cuban people. But the BBC did itself proud when it screened an interview with an ordinary Cuban called Hereclito. A Cuban whose life had been saved by the Cuban health service following a serious accident which cost him both of his legs. No-one is pretending that Cuba is perfect. Not Hereclito - not anyone else. Friends of the Cuban Revolution and the Cuban people don’t pretend that Cuba is perfect. Fidel Castro didn’t. But we should defend the gains and achievements – in Cuba and around the world - of the Cuban Revolution. And Fidel Castro was a giant. A man of ideas. A man of action. An activist and a politician who was prepared to – and did – put his life on the line rather than leaving that to others. A man who, along with Celia Sanchez, adopted children orphaned by the Revolutionary War and raised them in his home but didn’t speak or boast of this in speeches or in the media. A man who demanded that - as a matter of principle - after he died, no monuments and no roads in Cuba would be named after him. In the last week and a half, lesser figures - petty political figures - have expended great energy in attacking Cuba and attacking Fidel Castro. These politicians and pundits should be thankful they’ve never had to defend public services in the face of the longest and cruellest illegal economic embargo in world history. These politicians and pundits should be thankful they’ve never been attacked for their human rights record whilst the world's greatest superpower detains and tortures people on their territory against their will in a detention camp on illegally occupied land. These are politicians and pundits who have never had to face the practicalities of trying to build socialism in a poor country during the Cold War, 90 miles from a United States that, in essence, used to treat Cuba as if it owned it. Fidel Castro was in a different league to these petty political figures. He saw the bigger picture and battled the bigger forces at play. He shaped the bigger picture. He shaped history and the lives of millions – in Cuba, in Africa, in Latin America - for the better. I will leave the last words to Fidel. What I’ve said already is enough. Friends, I’m proud to be here tonight.